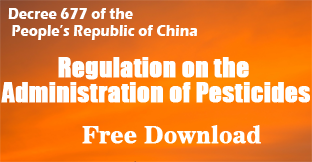 As China strengthens its control on its pesticide industry (new pesticide regulation, environmental regulation and economic transition, etc. ), sourcing pesticides in China will become increasingly problematic due to supply instability. To facilitate continued trade, the Agrochemical Portal, has established a new sourcing and matchmaking service called “Easy Sourcing Easy Compliance, (ESEC)”, aimed at offering a better service for our members, increasing referrals between buyers and manufacturers and ultimately increasing your opportunities for agribusiness (technical material &pesticide formulation). The professional service at ESEC is offered only to premium members of the Chemlinked Agrochemical Portal, however, it is also available to free member for a limited time! Click here to join us new! WHY ESEC at AGROCHEMICAL PORTAL? -Through our privileged relationships with Chinese pesticide industry, you can choose the most reliable manufacturer, reduce the cost of language and culture barrier and improve overall business efficiency. 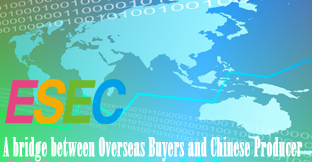 -At ESEC we take advantages of 100+ partner testing institutions to ensure your product quality. -Our team of professionals specialized in global pesticide regulatory issues will help minimize trade barrier and compliance costs.